Your company’s image is important. The health and safety of your employees is important. Because of these factors and many more, the cleanliness of your facility is vitally important. The goal of System Clean, Inc is to work with their customers in identifying and solving their indoor and outdoor cleaning challenges. System Clean, Inc. has been in business since 1992 and has grown to be the areas single largest source of supply for cleaning equipment of all types and sizes…scrubbers, sweepers, vacuums, pressure washers, scarifiers and cleaning chemicals. Besides offering top quality equipment from world-class manufacturers, we also offer service and parts for all makes and models (Tennant, Factory Cat, Nilfisk-Advance, American Lincoln, PowerBoss, etc). 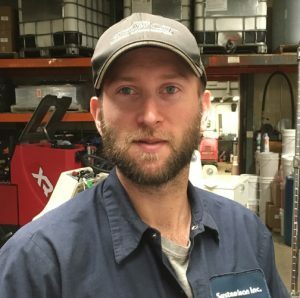 In addition to the sale of new equipment, System Clean is also a source for rebuilt equipment and for rental scrubbers and sweepers. System Clean offers their customers a free in-plant analysis of their cleaning problems and concerns. The company then works with the customer to design the most efficient and economical system for keeping their facilty clean. Selected equipment (usually sweepers and/or scrubbers) are demonstrated on-site to ensure that they perform to the customer’s satisfaction. Contact us at 1-800-890-0678 or click the contact button to send us an email. 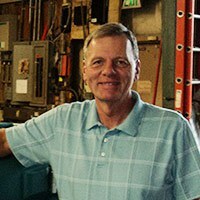 Gary has been in the Cleaning Equipment Industry for the past 36 years. 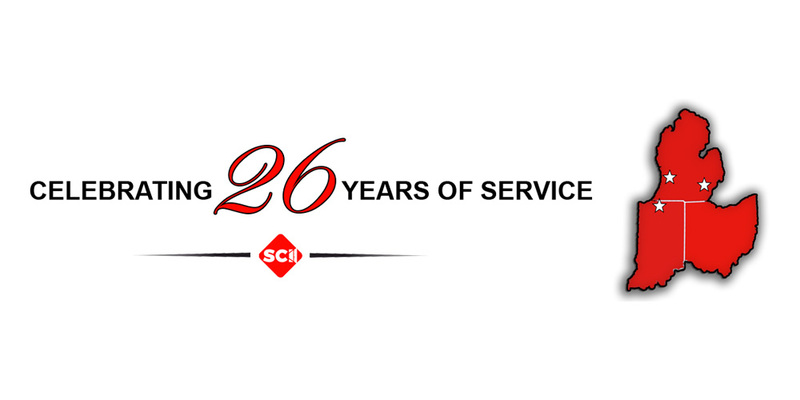 System Clean, INC was started up and ready for business in September 1992. For the past 21 years Gary has been able to work with thousands of companies in Indiana and Michigan on creating the cleaner work environments that they have desired. His passion and knowledge of industrial cleaning equipment is immense and greatly respected by many in the Industry. He is a man of his word and has been able to build very strong and lasting relationships in the Industry which has greatly aided in the success of System Clean. Andy is the Sales Rep. for the state of Michigan. He started working at System Clean at a young age of 15, helping wherever he was needed. During his college years at IUPUI in Indianapolis he would come home during the summer and worked in the shop. 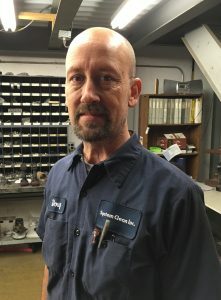 He official moved back in August of 2010 to work for System Clean as the Parts Manager. 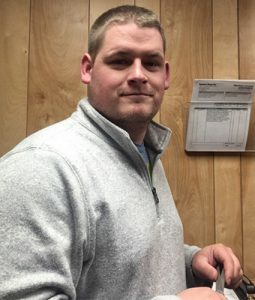 He has recently been promoted to Sales Rep for Michigan and is enjoying learning a different avenue of the business and getting out in the field. He truly loves and is passionate about the Cleaning Industry; I guess you can say it runs in his blood. Bob is one of our factory trained field technicians with 15 years’ experience in the Floor Cleaning Industry. 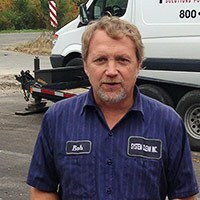 Before starting with System Clean in 1999, Bob worked in the Material Handling Industry specializing in forklifts. Bob is trained in servicing, repairing, and rebuilding Factory Cat, Tennant floor units. His attention to detail and organizational skills helps him succeed in the Cleaning Industry. Bob is a loyal employee that enjoys getting up early to work and relaxing on the weekends with his son. 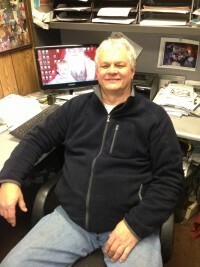 Scott is our other factory trained field technician that has been in the Floor Cleaning Industry for the past 20 years. He joined the System Clean team in 2002 and moved from Chicago to Niles, MI with his family. He specializes in servicing, repairing, and rebuilding sweepers and scrubbers such as Factory Cat, Tennant, American-Lincoln, Advance, and Powerboss. Scott’s hard work and passion for this Industry have helped him succeed. He will find a way to fix or rebuild any machine. Though he is happy in Niles, MI he does miss all the great food in Chicago especially the pizza. Alan joined System Clean in April 2013 as our Parts and Service Manager. As a native of South Bend, Alan has spent the last ten plus years in the Manufacturing/Retail Industry for companies in the area. He is very interested in and determined to learn all about the Cleaning Equipment Industry so that he can be well educated when helping our customers. 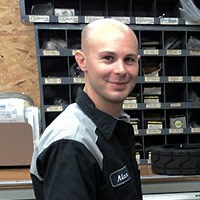 If you need to order parts or to schedule service Alan is the guy to call. 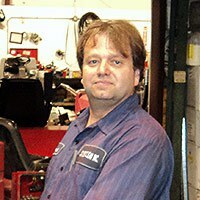 Doug joined the System Clean team last year and has been a mechanic for 30 years. He began his career as a mechanic back in 1988 when he joined the Air Force. When Doug is not working, you can find him on the golf course or hanging out with his girlfriend. He also enjoys reading, writing his book, and drawing. Lincoln is the newest member of the System Clean team. He is adapting well to the sweeper/scrubber industry after spending 12 years as a heavy machine mechanic. Lincoln was recently married and enjoys spending time with his wife at home. He also enjoys riding his motorcycle and fishing whenever possible. 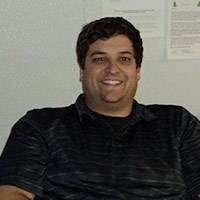 Kevin has been with System Clean for 5 years and is running our eCommerce and marketing. He joined System Clean after he got out of the Marine Corps and enjoys spending time at home with his wife and kids. When he's not at home or with his family, you can find Kevin on the golf course or playing softball.